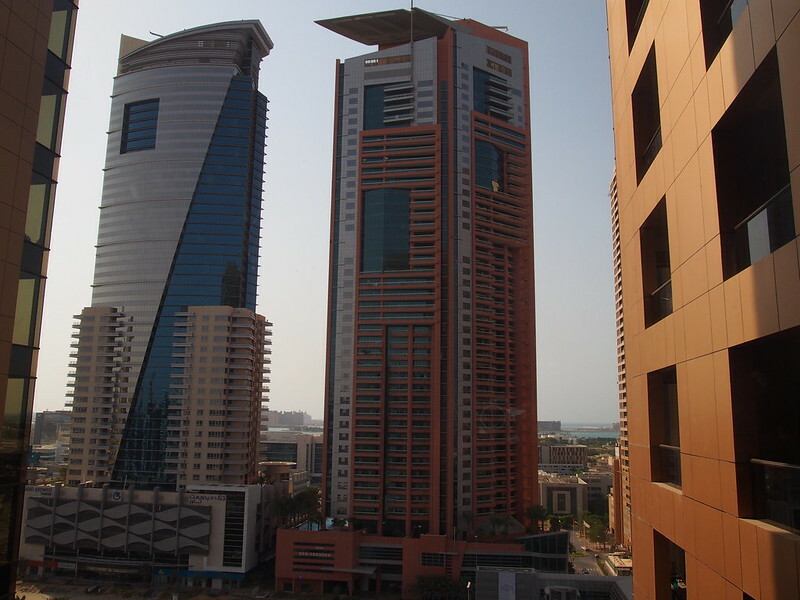 I am now writing from a hotel apartment in Dubai. I accepted an offer from a company I worked for before. My hunting for a place and country to retire in was abruptly placed on hold. Sadly I was too tempted by the money even though I felt I had enough. I also enjoyed the work I did and the interactions with other people. 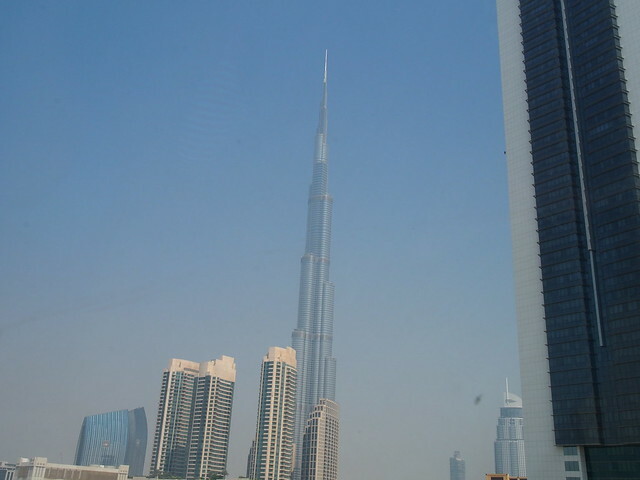 This is the view as I looked out of the floor to ceiling window of my Dubai living room. 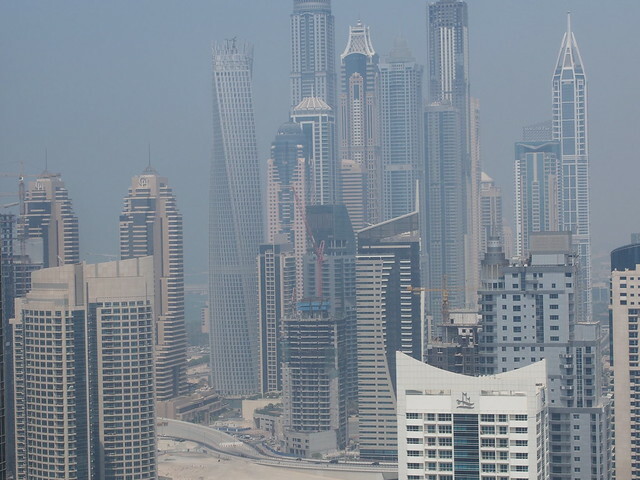 The fronds of man made peninsula Palm Jumeirah and the buildings on it seen beyond and between those two buildings. 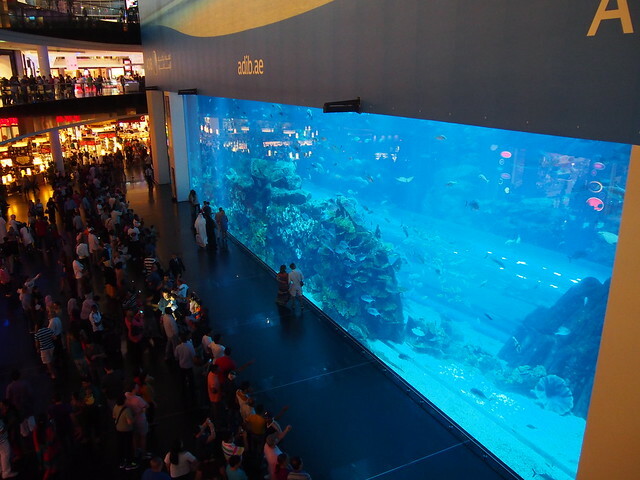 If you had not known of the Palm Jumeirah, click below. 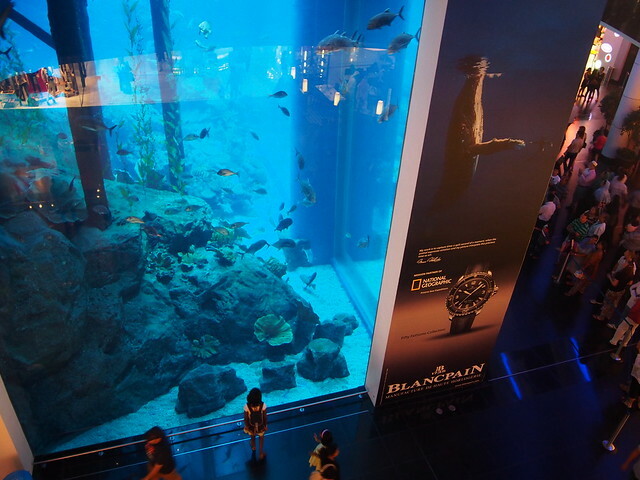 And the largest public aquarium in the world in Dubai Mall where fishes and people oggled each other. 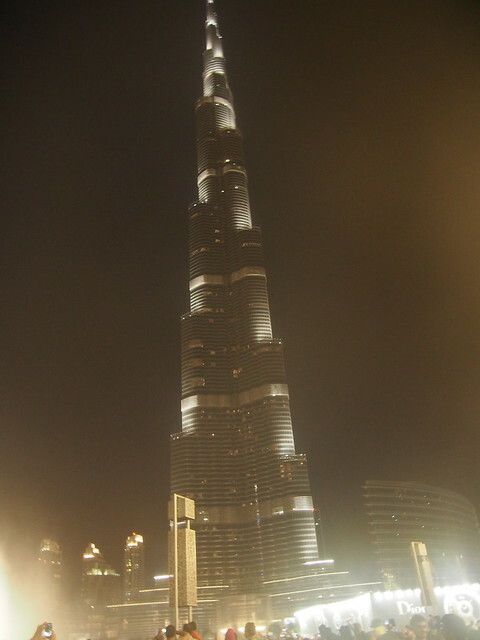 Yes, that building was twisted and not a fault from my camera lense. When I first came to Dubai, Middle East in 2008, I stumbled on Billy Blues near the Satwa Roundabout. That was in the Rydges Plaza hotel. That little restaurant had a charm of its own, a bustling bar/restaurant with pool tables and darts, and very good tasty baby back ribs that melted off the ribs when you look and salivate over the plate. I got to like Billy Blues for the food and the atmosphere and went back again and again when I was in Dubai. Then I was in Oman and joined my my wife. On the times we went to Dubai, I brought her to this Billy Blues. When I left M.E. from time to time, I thought of Billy Blues. So when I got back to Dubai 2 weeks ago, I had to make a trip to Billy Blues. 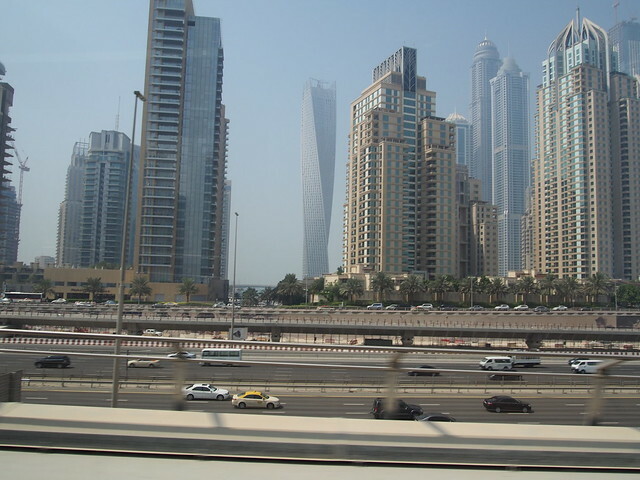 With the running of the MRT of Dubai, I got to Satwa roundabout by train and bus. I had not decided yet on getting a car. 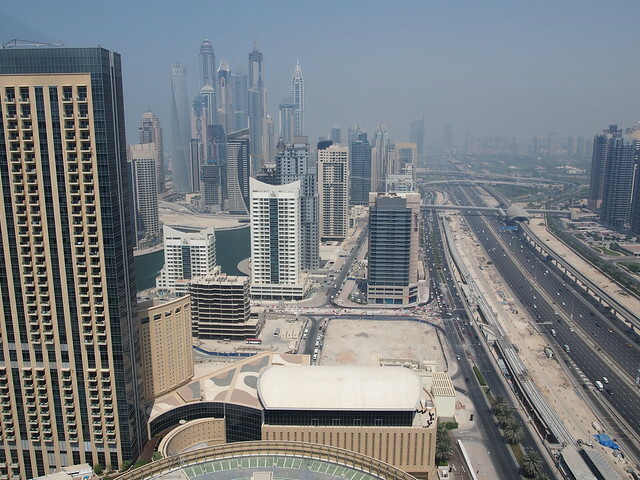 Should I felt my stay in Dubai be more permanent, not only I get a car. I will yank my wife to join me by the roots of her hair. Dont know about the kitties as Ivan too old to go quarantine. And then maybe a birdie join our lives here. I rather make use of the cards in my hand then to wait for an ideal hand. I felt in a short while, I would be ordering that baby back ribs and a beer. Some changes were made. I saw the hotel changed hands and name and was called Chelsea Plaza hotel. I took the lift up to where Billy Blues was. I was wondering why it was quiet. Then I saw a sign on the door of Billy Blues. That it closed on Aug 31, about 3 weeks ago. I felt it was so unfair. My dreams of those tender meat melting from those delicious ribs remained dreams and memories. I was really feeling so blue. I did not even recall that dog with good memories. 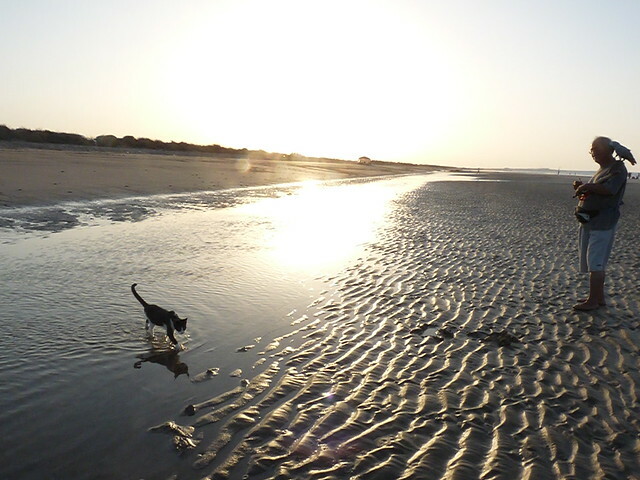 You understand that after I nearly lost my family jewels because of the presence of that dog, despite the kilometers of open and empty beaches on Oman, that dog came close to me. Dommie was paranoid of water and the sea at the beginning. It took time even for me to con Dommie that water wading was a pleasure. That near lost of my family jewels was not even done by that dog, but by Dommie as he tried to scramble up my thighs into my shorts earlier. That the dog came along was more than Dommie could handle that time. That was one of Bill White , an Alaskan, dogs. I did not even know that dog name. And that dog did not even know my name either. That dog, or his presence then, was a part of my life, existing only in memories now like Billy Blues baby back ribs. I was told by my wife a few days ago that dog went on to a better world. He was ran over in Kamchatka Peninsula where he was taken to by Bill. A Russian who drank too much and not too careful send that dog on. Nelson did even better and put more photos into his blog. You need not read Chinese to enjoy those photos of the Blue Magpies and other Taiwanese birds and the landscape. My last reports on Qinghai plateau was already too thick to include Nelson when he wrote to me late August. So it is here for all of you. I have kicked Old Nic for One miraculous year, seven incredible months, four wonderful weeks, two luvly days, 13 bloody hours, 26 misc minutes and 27 odd seconds. of cold turkey after about 45++ years of smoking. 31036 cigarettes not smoked, saving $16,294.19. Life saved: 15 weeks, 2 days, 18 hours, 20 minutes. Life goes on, doesn't it, ShanLung? It is impressed on me how things change, especially as October approaches. I always designate this coming month as the sweet cruel October. But I have a favor to ask. I'm trying to make signs in the Chinese fonts or symbols for the following words. They are names of elements of my home and garden. Moon Walk= the path through the garden named for my beloved maltese doggy, Moon Pie, who died last October 5 of liver and kidney failure at the age of 13. If you have a way to picture these for me, now or later, please know I will appreciate it immensely. Hope your sadness at the departure of the baby back ribs restaurant is relieved by finding another great spot. I'm discovering similar changes in the woven threads of my life too, where one person or expected treat suddenly drops from the tapestry, and I must search for its replacement...oh, it is there, because the fabric seems whole. Like fish pulled from the water, they leave no holes in the ocean. I should have answered you much earlier. The first two were easy. It was the third that required a bit more. And as the matter was close to your heart, I thought I needed more time.